Authorities in Ecuador say that founder of Wikileaks Julian Assange after the embassy in London more than 4 million cyber attacks have been done on their government organizations’ websites. Says Ecuador’s Deputy Ministers of Information and Communications Technology Patricio Real that Cyber ​​Invasion Julian Assange began after the arrest and it was done by hackers in America, Brazil, Netherlands, Germany, Romania, France, Austria and Britain. It was believed that Julian Assange last week was arrested by the British police in Embassy in Ecuador, London. Julian Assange was arrested when Ecuadorian President Lenin Moreno terminated his political asylum. 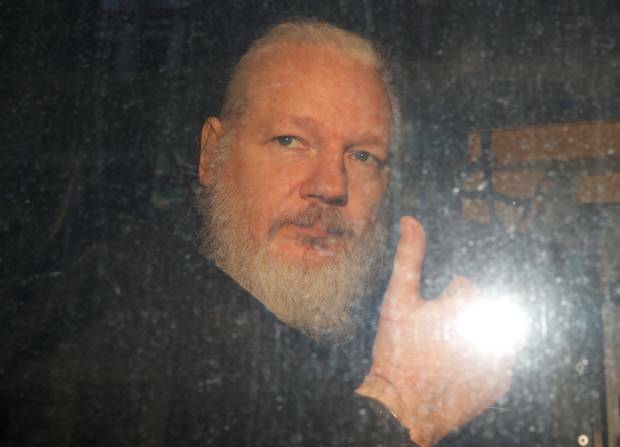 Julian Julian Assange was cutting down the exile by taking political asylum in the Ecuadorian embassy in London for 7 years to avoid Sweden’s referendum on rap charges. President Lenin Moreno accused Julian Assange of interference and spying in cases of other states. Lenin Moreno not only finished the political asylum of Julian Assange. Rufael Correa also quoted his Presentation of Julian Assange’s citizenship in 2017. According to the Department of Communications Department of Electronic Government, Javier Jara says that there was an unprecedented attack on the government agencies websites, which had to close the internet connection. The most influenced by the attacks was the Foreign Ministry, the Central Bank, the Presidential Office, the International Revenue Service and the Universities. However, no institution has complained of theft of data or the data deletion.